SACRAMENTO, Calif. /California Newswire/ — The University of California (UC) system is overcrowded, with slots increasingly scarce for California’s growing population. California industries, from animation to aviation to app-design, are finding it increasingly difficult to find the specialized graduates they need. 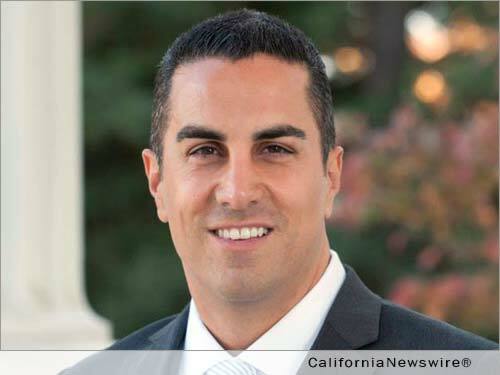 To solve these two problems, Calif. Assemblyman Mike Gatto (D-Glendale) has introduced AB 1483, legislation that will start the process for a new, public University of California campus. It will provide the much-needed extra capacity to meet demand, and promote the so-called STEAM subjects (Science, Technology, Engineering, Arts, and Mathematics). It can be thought of as a public version of Caltech. Gatto’s legislation would start the process with the required study on the feasibility and potential locations for the campus. But it also appropriates $50 million for land acquisition and initial building costs for the future “UC-Tech” campus, once the UC Regents have determined the ideal location. This new campus would provide an elite technical education comparable to Caltech. However, with Caltech’s base tuition at $43,000 a year compared to the $13,000 base tuition for in-state students at UC, this elite public education would save California students at least $120,000 during the course of a four-year degree. Gatto’s concerns mirror those expressed by education and political leaders from across the state, including UC President Janet Napolitano and Governor Jerry Brown. The UC Master Plan, written in 1960, promised that all California students who finished in the top one-eighth (12.5%) of their class could access a state-run university for free. Yet as Governor Brown recently noted, demand has resulted in California’s flagship university – the University of California at Berkeley – closing its doors to “normal” people. In 2014, 44,564 Californians applied to Berkeley and 8,391 were admitted. Even affirmative action proponents have acknowledged that much of the controversy can be resolved with additional higher-education capacity. Specialization within California’s public higher-education system is not new. UC Hastings College of the Law is the United States’ only public, stand-alone law school, and UCSF is dedicated solely to graduate education in health and biomedical sciences. By creating a UC school with a focus on STEAM education, AB 1483 would help fill the needs of employers looking for employees who are both creative and technologically savvy.